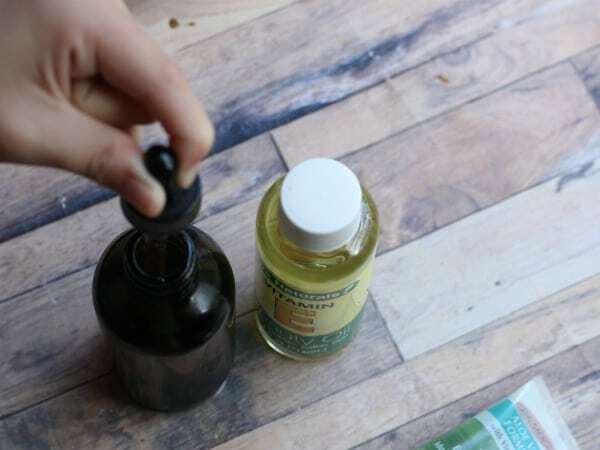 Use this DIY Beard Oil Recipe to make beard oil at home. A daddy is a little girl's first love, of course, she would want to pour her heart into a homemade gift for him right? 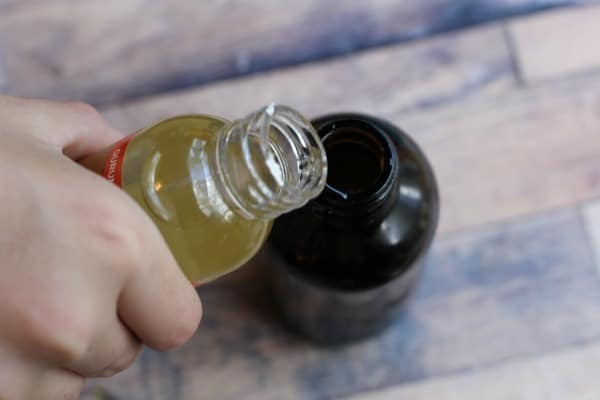 This Homemade Beard Conditioner made with natural ingredients is the perfect gift for everything from mustaches to goatees and onto glorious full bearded-ness. Since it is made with natural ingredients it is better for her and for him, and the scent can be customized to his preference. But, it's not just a good gift for dads, any furry faced man would love to receive this fantastic skin and beard softening concoction. 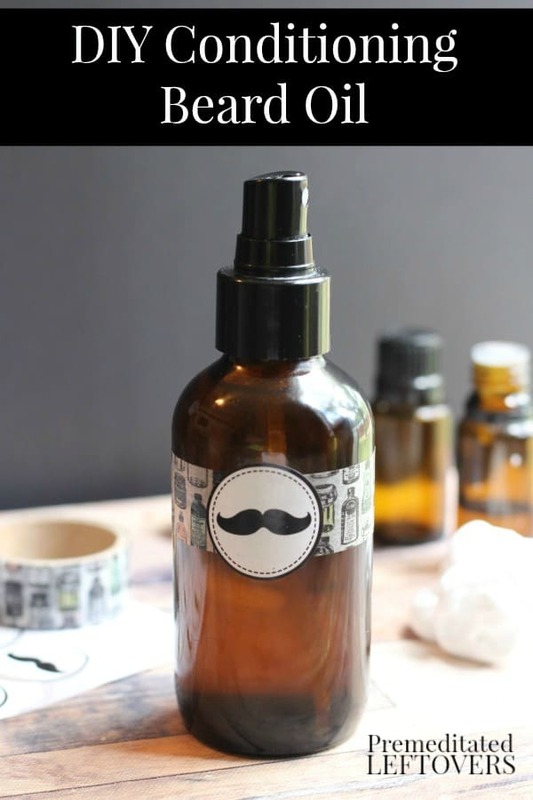 In this beard oil recipe we scented it with cedarwood, lavender, and rosemary essential oils, but feel free to experiment with your own mix of essential oils. 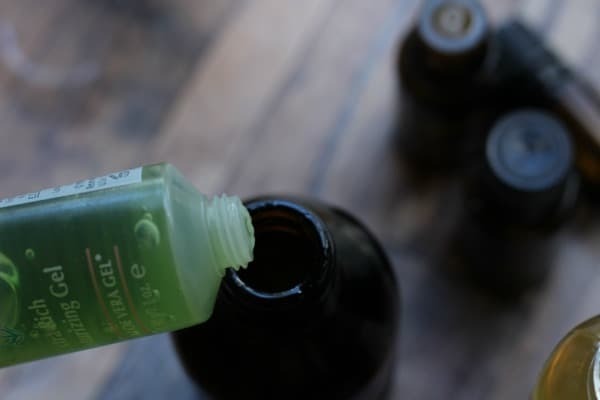 Remove spray cap from the bottle and help your child carefully pour in 1 oz. of sweet almond oil. Using pipettes or droppers will help little hands get ingredients in the spray bottle much easier. Use a dropper to add 1 teaspoon of vitamin e oil. Squeeze or drop 1 teaspoon aloe vera gel into bottle. Finally, have your child slowly count out the number of drops for each of your essential oils into the bottle. Replace the spray nozzle and let your child shake vigorously. 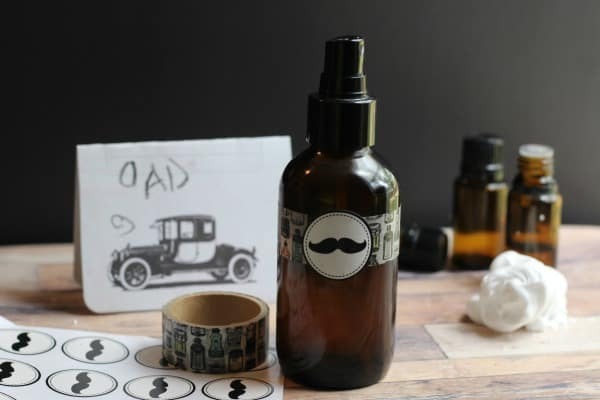 To label our bottle we used this fun apothecary washi tape we had on hand in our craft supplies (if you love it too you can find it HERE) and a mustache sticker.